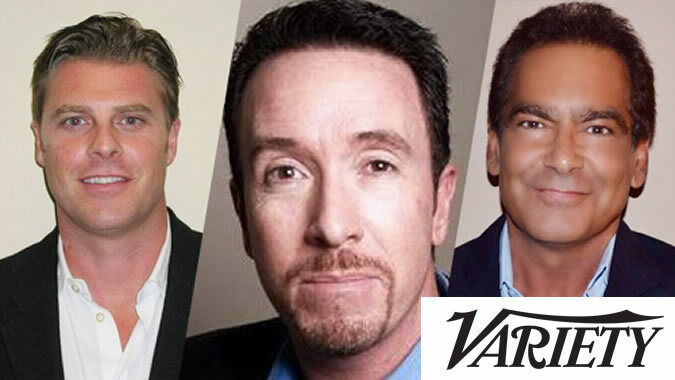 Branding specialist Bert Bedrosian is joining forces with producers David Salzberg and Christian Tureaud (“The Hornet’s Nest”) to form Strong Eagle Media, Varietyhas learned exclusively. The company will focus on producing inspirational military stories. John Brenkus’ Base Productions will serve as co-production partners in military film projects. Strong Eagle will also produce sports and action adventure programming for TV and digital networks. Bedrosian, Salzberg and Tureaud joined forces for the 2014 military documentary “The Hornet’s Nest,” which followed U.S. troops battling in Afghanistan and grossed $312,706 in the U.S. It is the only film to ever be enshrined into the National Infantry Museum at Ft. Benning, Ga. The company has already begun production on its next two films in its military hero series. Both films are fully funded, have worldwide distribution in place and are slated for 2016 release. Prior to “The Hornet’s Nest,” Bedrosian, Salzberg and Tureaud collaborated on 2010’s “The Perfect Game,” starring Clifton Collins Jr., Cheech Marin, Jake T. Austin and Moises Arias. Bedrosian is an owner and financier of Tapout, the MMA lifestyle brand.